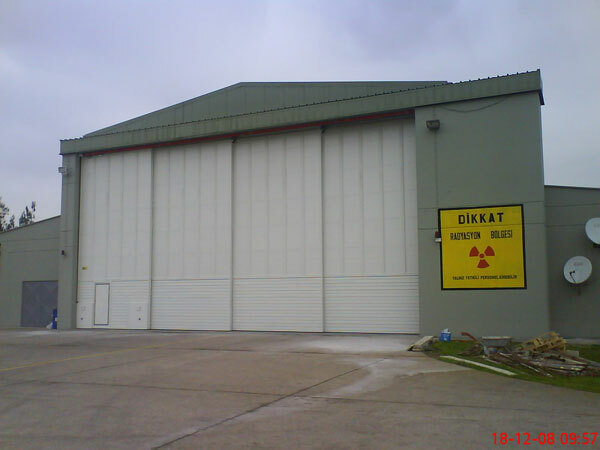 Mekon Paneel produces high quality airplane and helicopter hangar doors. 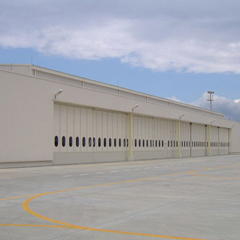 The airplane and helicopter hangar doors are patent Arch span frames, with steel partitioning, cladding, wall vents, insulation and gutters. 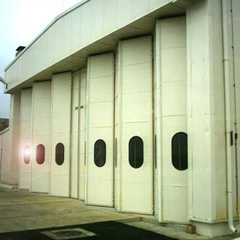 Both the airplane and helicopter hangar doors and personnel doors were manufactured by steel. 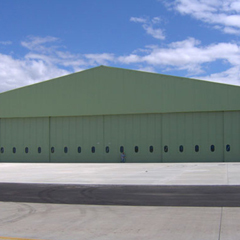 Side assembling sliding door for aircraft hangars has a lightweight design and is suitable for many types of hangar applications. 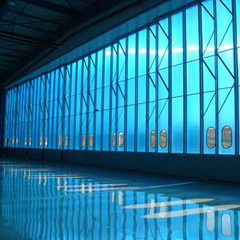 The special construction of Side assembling sliding door for aircraft hangars enables it to be cladded with various types of materials including heat isolation, noise isolation and different glazing options. This type of door also offers low-cost alternatives for most of the standard applications.